This is for Day 13. Of course I had to draw Santa’s cousin from the South Pole, Pancho Claus! He is a big deal here in South Texas. 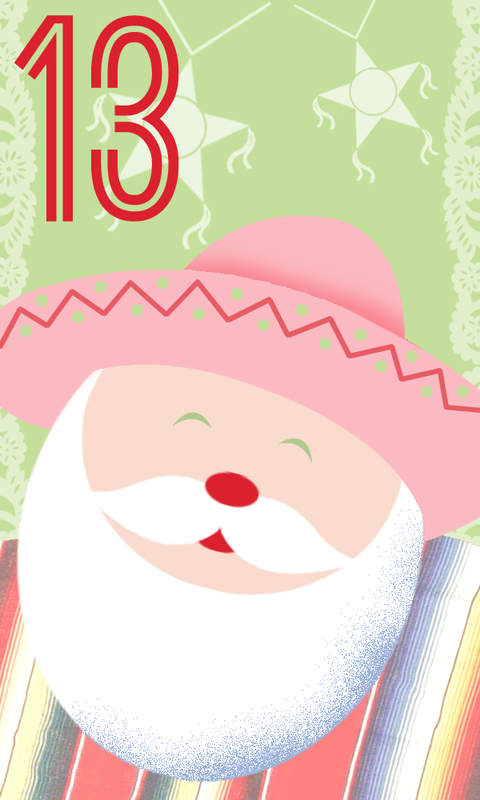 He goes around to all the Mexican-American neighborhoods spreading good cheer. And instead of reindeer, he has a team of burros with a special one named Chuy. He is the barrio hero, Pancho Claus and we love him dearly.